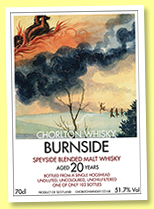 Burnside 20 yo (51.7%, Chorlton Whisky, hogshead) A new bottler, it seems. They chose superb labels, something early-1900s Dutch or something, or is that Brueghel the Elder? As you may know, Burnside is the name for Balvenie’s vatted, aka blended, aka teaspooned make. Colour: white wine. Nose: these indie Balvenies are often more citric, sharper, more angular than their official counterparts, which are usually creamier, although we aren’t too far from some of those older official 15 yo single casks. Lemon, Weiss bier, fresh turmeric, unripe greengages, a touch of wet chalk… With water: a wee tad medicinal, with a little camphor and band-aid. Lovely. 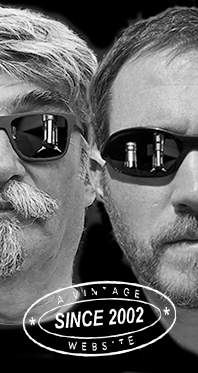 Mouth (neat): it’s true that Balvenie’s a classy distillate. Angular again, lemony again, pretty green and kind of positively aggressive (what? ), rather rooty (gentian)… With water: rather creamier, with hints of mangos and maracuja. The background remains green and bitter, but I like that. Finish: long, rather gingery, rooty, bitter. Cynar and ‘stuff’. Comments: have I mentioned class? SGP:451 – 86 points. Balvenie ‘Tun 1509’ (51.7%, OB, batch #4, 2017) They married 13 first-fill American barrels and 10 sherry butts, and this is the result. I thought last years batch #3 was very good (WF 88). Colour: gold. Nose: a few sulphury smells, around used matches (I’ve decided not to mention guns anymore), with transform into some sooty/earthy notes, before some pencil shavings are starting to come in, together with a rather bouillony profile. It’s quite dry, do not expect any jammy, mirabelly style this time. With water: new plank, then bonbons. Mouth (neat): feels a bit modern, I have to say. Ginger, beer, cardamom, nutmeg, cinnamon mints, more pencil shavings, spicy bread, white pepper… It’s very unusual, and it hasn’t got anything from Balvenie’s usual apricoty creaminess. A whole different style and frankly, a feeling of ‘oaked youth’. With water: ah, finally, some fruits! More unripe greengages, unripe kiwis… Finish: rather long, with bags of limes. Gets acidic, not obligatorily in a bad way. Comments: absolutely not in last year’s style. It’s a much greener, and possibly younger ‘Tun’ this time. SGP:461 - 85 points. Balvenie 55 yo 1961/2017 (42.6%, OB, DCS Compendium chapter 3, sherry hogshead, cask #4193, 65-or 80-bottles) Some kind of crème de la crème, or the cat’s whiskers as they say. There are some mock-ups online, so not sure about all data, I’ll amend if necessary. I’m also very happy because this is the oldest vintage of Balvenie I’ve ever tried, imagine it was distilled even before David Stewart started working at the distillery, since that was in 1962. Good, lets go hunting mirabelles… Colour: gold (yay!) Nose: get out of here, I want to see no one, I need be alone with this whisky, please, capice? More proof that age doesn’t matter, as long as the whisky’s young (the Scots’ unspoken mantra). All kinds of wee bits of metal, all mushrooms, all kinds of mints, a pile of old books, wee hints of benzoin and ambergris (that’s the poetic side), and just having your face on some earthy ground after a rain. Or while playing rugby. Amazing dry complexity here, this is an old Montrachet from a great house. Like, there, a 1961 indeed (not quite 1959, but great vintage nonetheless). Mouth: as always with very old whiskies, the first thing you feel is oak, and you go like “is that all? Nothing more?” And there is here, with citrons and apricots, the expected mirabelles, a wide range of mints (spear, pepper…), some tobacco, many teas and many herbal teas, a few pickled fruits, with this very particular sourness (mangos? ), and, any whisky’s friends, oranges! Finish: of course there’s a little oak, and a wee feeling of eating herbal tea (without any water), and yeah, sure, it’ll lose one or two points at this stage, but it’s still pretty glorious. Love the candied citrons. Comments: these very old whiskies are always miraculous – or I guess they wouldn’t bottle them, would they? Now I haven’t checked the price, and perhaps I shouldn’t. What I like is the fact that they haven’t used silly packaging here. No crystal, no silver-plated stuff, no half-forgotten Scottish designers (bless you guys)… That’s what I’d call an optimal use of resources. Kudos, Balvenie. SGP:571 - 91 points.